The IAFF is preparing for the upcoming International Code Council’s Committee Hearings next week in Dallas, TX. A number of code change proposals will be debated concerning our member’s work environment. 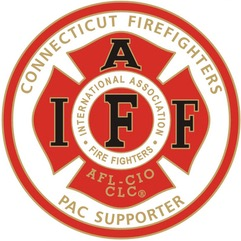 While the IAFF has submitted code change proposals to address fire fighter safety issues to limit fire propagating in large attic spaces or communicating structure to structure there are opponents who are attempting to remove code language protecting fire fighters. Code change proposals have been submitted to eliminate the IAFF led initiative to require the protection of lightweight construction. Another proposal seeks to eliminate language requiring the Residential Code Committee to consider fire fighter safety from the Intent of the Residential Code. That was another IAFF led requirement. The IAFF and a number of our members will participate in the code hearings to retain these requirements. These code change proposals demonstrate the importance of the participation of the IAFF and our members in the code process, whether at the national or local level. There are a number of code change proposals potentially impacting the safety of our members and we will keep up daily blogs plotting the progress throughout the ten days of code hearings. We will have representatives present for the Residential and the Fire Code hearings. Remember this is the first step of the process, after these hearings the final language must be approved by fire and building officials at the Final Action Hearings in Atlantic City, NJ this October. We will keep the membership informed on the progress and how to register for the Final Action Hearings to have your voices heard.